It is a rainy day in a city that was once a swamp prior to habitation. Further south still, ruins of French strongholds remain in disrepair amid the rise and fall of murky bayou waters. Subject to the seasons and all varieties of both natural and artificial decay. A history entombed within the walls of a fortress with none but ghosts left to defend it. I spent a lot of time trying to figure out how to approach the release (and development) of a game I had no idea how to describe. Originally inspired by mountains of science-fiction novels and the titles that marked my first experiences with online gaming, I originally set out to write a large story spanning centuries into the future. To be told in parts as single-player sequences set at different points in time, First Paradise: Pioneers was a minimalist attempt at making that story interactive. But Voyagers, now Apsis Online, strives to tell your story. Embark on a journey into a sea of stars. But It was important for a wide range of reasons. Chief among them being to create a standalone platform for the game to exist and grow on without having to rely on systems with more features than I could use and would ever need. I'm also a code-control freak alongside being self-taught so most existing frameworks simply make no sense to me. I also wanted to keep the game client small, a concept I feel has been vaguely lost in modern software methodology. You are a Voyager. A physically and mentally modified human whose mission it is to explore the universe in an attempt to settle and continue the human race after series of catastrophic events has destroyed a large portion of life on Earth. Quick note on those planets. They are all procedurally-generated with landing sites created in much the same fashion. In the future I plan to allow the deployment of probes which should at least make sure you don't end up next to a volcano. I also plan to allow leaving drones and androids to manage your settlement while you're away. There's a lot more to say here but I'll leave it for a future update. 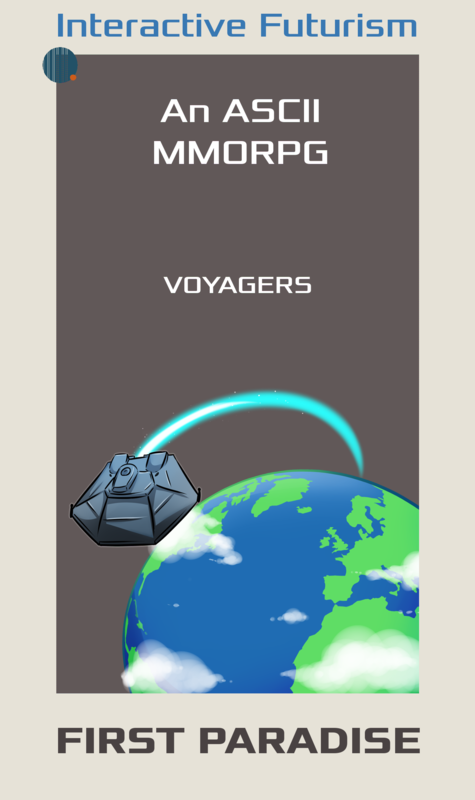 After two years and an entirely different game, First Paradise voyagers and Sequence 1 update v5.0 is now available. First Paradise Sequence 1 Extended - In rapid development. The ship was re-fit for combat, top of the line ordnance which I assume nobody has any experience with. That's why they hired me; to man the guns. Yes, " Who am I! Therefore I am" super cool and true words. Live out your inner instinct. Congratulations! I love the idea, I love the aesthetic, I love the look of it all. Can't wait to play! I'm curious what are your programming this with? Thanks! The prototype is being programmed on top of a modified version of NCurses with logic based on our own engine written in C.